THERE'S a simple formula to creating an album according to Billy Corgan. "Sad song, sad song, self-obsessed lyric," The Smashing Pumpkins frontman joked to a crowd of 500 at Splendour In The Grass on Saturday. Corgan was a guest on the Wil Does Parky forum, hosted by comedian Wil Anderson. Independent MP Rob Oakshot and occupy Melbourne activist Carl Scrase were also guests but were given the word to leave as soon as word of Corgan's arrival came through. 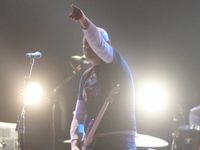 When asked what made him take part in the forum when his set with his band wasn't until the following night Corgan said he is "very interested in what people are thinking and feeling". "I'm a progressive artist so I want to understand not only how people are receiving information but also how they're communicating. 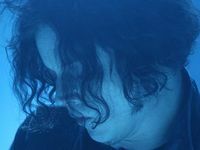 He went on talk about varying topics including his interest in wrestling, which saw the host in a demonstration of "the claw" grip involving falling to his knees and onto the floor after Corgan gripped his forehead. 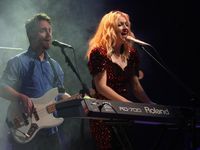 Corgan discussed how the music industry was rorting bands in the past and how, although it may be in a different way, the industry is still rorting bands today. Whether they're committing bands to seven albums, making them pay for it but still owning the rights or giving bands the rights to their music but then taking shares in everything else, the end result isn't for the benefit of the artist Corgan told the packed tent. "Being in a band is so much f***ing bull***," Corgan said after listing a reel of highlights in his career from being on the cover of Rolling Stone to winning awards at The Grammys. "Everyone's always telling you what to do including your grandma, everyone's got an opinion, so there are those pure moments on stage where it like, this connection, I know it sounds a little cheesy but it's those moments that make it all worth it." 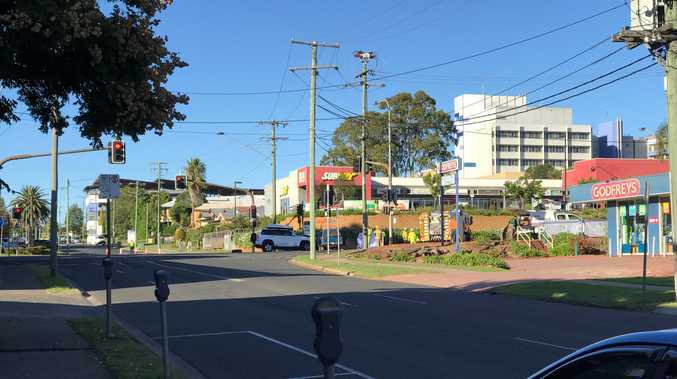 Corgan has made his presence known in Byron Bay throughout the festival including appearing at Channel [V]'s Recovery Breakfast filming of The Riff at the Beach Hotel on Saturday morning and heading to local cafe's. 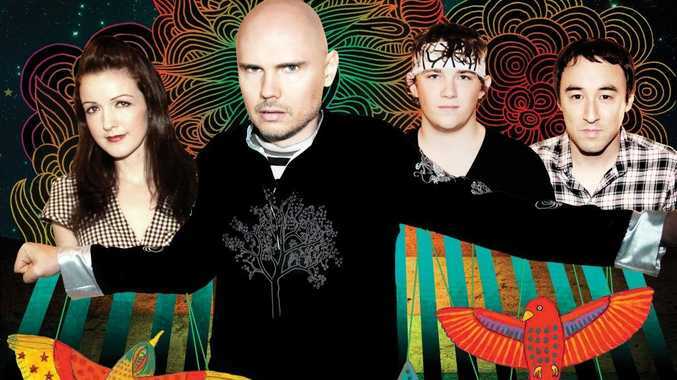 Billy Corgan will close Supertop stage with The Smashing Pumpkins tonight.